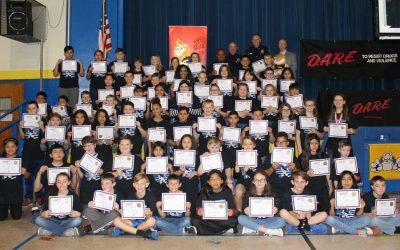 Perry County School District 32 fifth graders proudly hold their D.A.R.E. 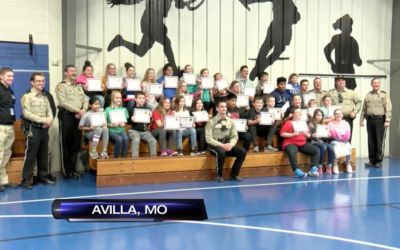 certificates and stand with their D.A.R.E. officer, Cpl. Jeri Cain, at the program’s graduation ceremony. 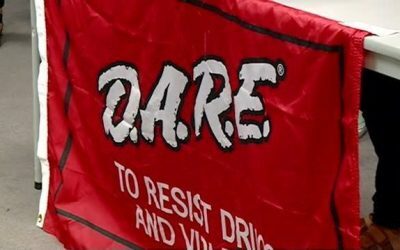 After more than 35 years of operation, the D.A.R.E. 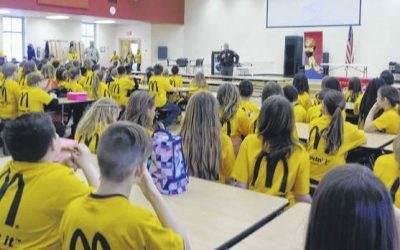 (Drug Abuse Resistance Education) program is still alive and well. D.A.R.E. 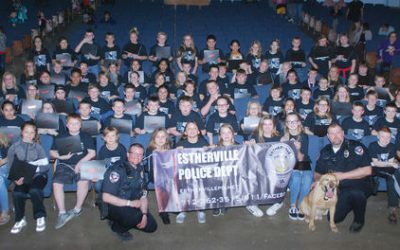 is a nation-wide program that involves police officers coming into schools and teaching students about the dangers of drugs, alcohol, and violence. It started small but spread quickly. As with any educational program, D.A.R.E. has had to adapt quite bit over the years to remain effective in getting its message across effectively. It still teaches the basics about the dangers of tobacco and alcohol, but more categories have been added while some are being taken away. 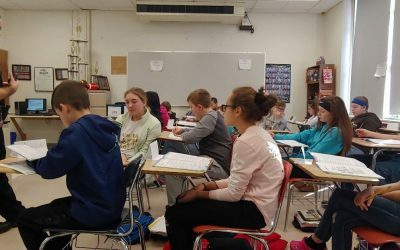 Due to controversies and different laws in different states, Missouri is one of, if not the last state to still include the portion in the curriculum concerning the health risks of marijuana. The program has also expanded to include discussions about new products that were not on the market when D.A.R.E. started, such as e-cigarettes. Although D.A.R.E. has had to change to keep up with the times, its basic purpose remains the same. Another skill that D.A.R.E. is adding a bit more focus on now is bullying. D.A.R.E. 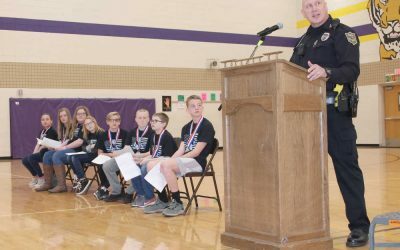 officers are encouraging bullying victims and bystanders to speak up rather than letting the bullying continue. They are not teaching the kids to physically stand up to the bully but are instead telling them to go to an adult that they trust to seek help for themselves or someone else. This not only allows children to combat bullying but also helps them in learning who they can trust. Despite all the changes that Cain has seen come for the D.A.R.E. program over the years, she still feels that the program is effective in what it teaches. Students that Cain had in the past that are now in their thirties still speak when they see her and contact her with questions or for advice because they had the opportunity to build that trusting relationship with her through the D.A.R.E. program. 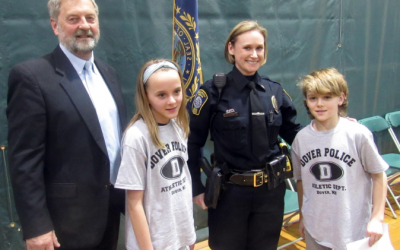 Children are sometimes hesitant to talk to or afraid of police officers, but D.A.R.E. shows them a different perspective. 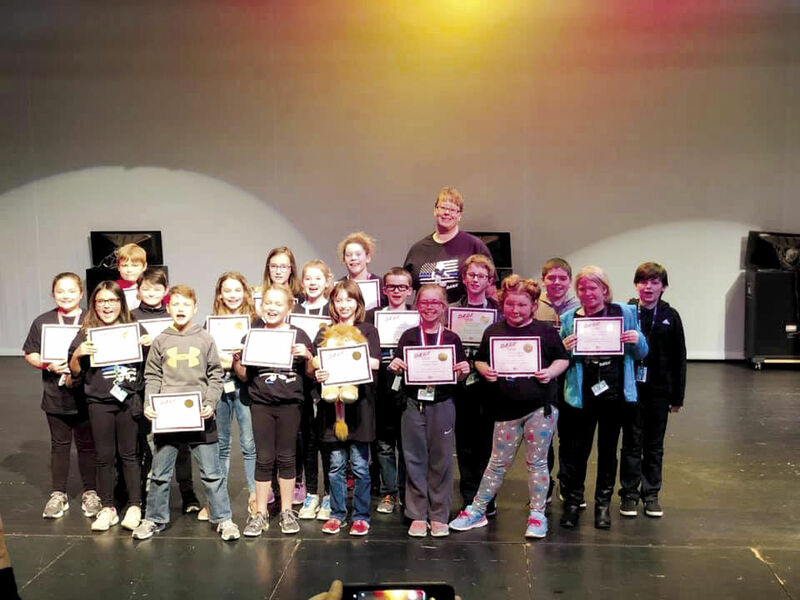 Cain has worked with students for many years through D.A.R.E. and hopes to see the program flourish for a long time to come.